I've published a list of "Friendly Souls" on my profile who would love to help you out. This list includes Wave Watchers and some enthusiastic Google+ users who have been ever so nice to newbies in need. Circle us, + us when you are stuck, or look for one of our hangouts. 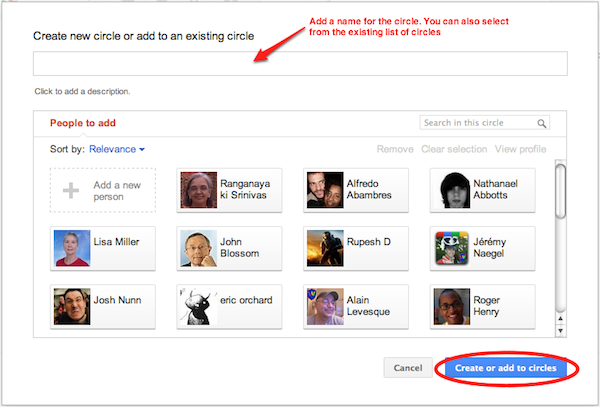 Click on Add circle and add a name for the circle.